Calling all Ribblesiders to come enjoy a spring walk taking in some of the most beautiful areas of the South Ribble "Ribbleside" Country Park. We will be following a similar route to last Spring's Ribbleside walk, taking in the River Ribble, Preston Junction Nature Reserve, and Carr Wood - which includes an area of ancient woodland - except this time we will be two weeks earlier so will catch the bluebells in their full glory! Meeting point: Tram Bridge over the River Ribble (between Avenham & Miller Parks and South Ribble Country Park). Route: Walking downriver alongside the River Ribble to Preston Junction Nature Reserve then walking down the LNR to meet Footpath 77 at Carr Wood, walking past the meadows (& Carr Wood sewage works) and then into Carr Wood, which includes remaining patches of ancient woodland, rejoining FP 77 to the River Darwen, following the Darwen to its confluence with the River Ribble, and then for the final stretch we’ll be following the Ribble downriver back to the Old Tram Bridge. Expected time: approximately 2 hours altogether, although there will be opportunity for people to finish after approximately an hour if the weather is inclement or children are getting tired as we cross the Old Tram Road towards Carr Wood. Terrain: the footpaths are good to bumpy in places, muddy on occasion, there are a couple of stiles so WHEELS are NOT ADVISABLE (bikes, wheelchairs, or pushchairs). 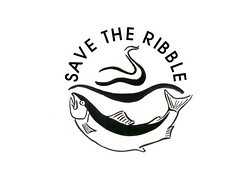 Come and join us for a fabulous May Day by the Ribble! For more pictures of the glorious Ribble in Spring, see The Ribble Cycle Diaries! Severn Barrage: Consultation Deadline & Online Petition - SIGN IT NOW! 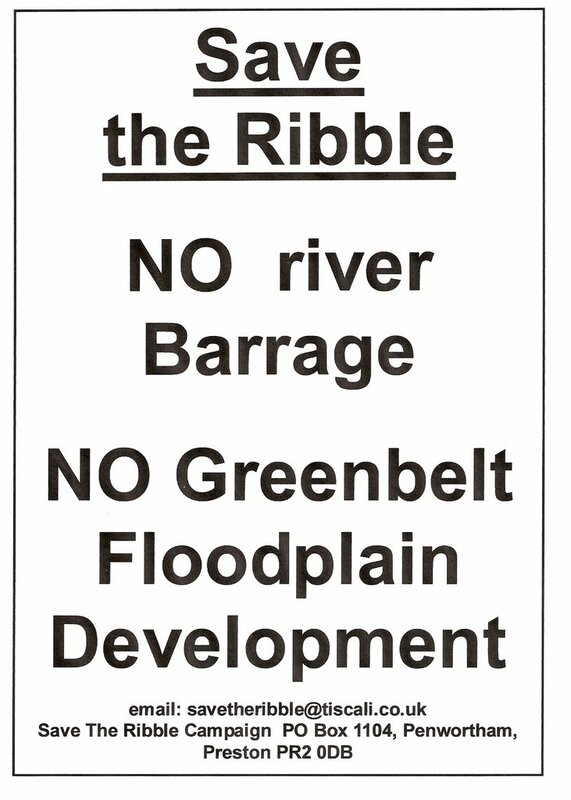 The deadline for the Severn Barrage proposal initial consultation is Thursday 23rd April 2009 - i.e. THERE'S NO TIME TO LOSE although there will be further consultations, probably in 2010 but they might have made their minds up already by then! The consultation document is long and difficult to complete, especially if running up against any of the technical problems we encountered today. Whether or not you have half an hour or more to spare to complete the initial consultation document, please SIGN THE ONLINE PETITION HERE NOW. 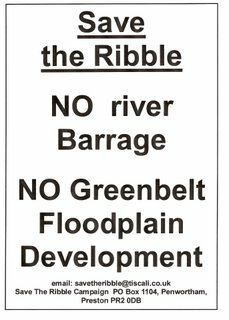 The Severn short list includes a number of barrage options but very few alternatives, and this list should be expanded to include innovative schemes such as 3rd Generation Tidal Turbines which are economically and environmentally sustainable - unlike barrages! - all of whom recognise the unacceptable costs to the environment and the economy that will be caused by barraging the River Severn. See Save Our Severn and you can read extracts from Dr. Daborn's report here. Please sign the online petition opposing the Severn Barrage TODAY, whether or not you have time to trawl through the substantial consultation document. 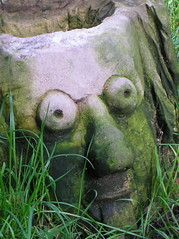 Also, there will be a Ribblesiders Bluebells and Birdsong Walk coming up very soon, so watch this space!